IMU CET MBA,MTech,MSc Admission 2018 - IMU PG Result Declared! Home > Entranceexam > IMU CET MBA, MTech And MSc Admission 2018 - Result Announced! IMU CET MBA, MTech and MSc Admission 2018 - Indian Maritime University has conducted IMU CET 2018 on 2 June. The result of IMU CET 2018 MBA, MSc and M.Tech programmes has been announced on 5 June in the form of merit list. Aspirants who appeared for IMU CET 2018 can check their result from the link provided on this page. Candidates who have qualified in the examination can appear for IMU CET counselling 2018 from 7 June. Candidates are required to report at the counselling session for the admission to MBA, MSc and M.Tech admission 2018. Read more information on IMU CET MBA, M.Tech and MSc admission, result, counselling and other details from the article below. 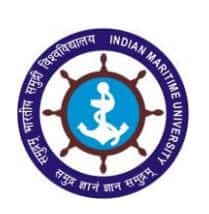 Indian Maritime University was established in 2008 under the Ministry of Shipping, Government of India, with an aim to maritime studies and training, research & extension. The candidates fulfilling the eligibility criteria can submit an online application form. The following are the name of the Postgraduate courses with offered in various IMU Institutes across India. Physical Fitness: The candidates qualified for admission into their desired PG program will have to submit a physical fitness certificate from a registered doctor during the time of admission. Age Criterion: The minimum age for the candidates by the time of admission date is 17 years and the maximum age of the candidates is 25 years. However, the Maximum age relaxation of the candidates of SC and ST is 5 Years. The candidates who have bachelor’s degree in any discipline with minimum 50% marks from a recognized university, college or institute in India are eligible to apply for IMU CET MBA and M. Sc. Admission. The candidates should have 50% marks in English subject in class 10th or 12th or graduation. The candidates belonging to SC/ST community will have 5% relaxation in marks eligibility criteria. Candidates under all categories listed below must appear for the IMU Common Entrance Test (CET) and qualify in order to be eligible for admission to this programme. However, candidates with prescribed GATE/GRE Scores are exempted from IMU’s CET. Category 1: A Bachelor’s Degree in any discipline with a minimum of 50% marks from recognized universities and a minimum of 50% marks in English subject in 10th / 12th / UG Degree (5% relaxation in marks for the candidates belongs to SC/ST). Category 2: 50% of seats in each IMU Campus where M.Sc (Commercial Shipping & Logistics) is being offered shall be reserved for seafarers with Master (FG) Certificate of Competency or MEO Class I Certificate of Competency. There will be no CET for the category 2 candidates. Before filling the online application form, first, the candidates have to keep ready a scanned copy of digital passport size colour photograph, a scanned copy of candidate’s signature, scanned copy of class 10, 12 & graduation mark sheet. Now the candidates have to fill the application form online. The candidates have to provide their basic personal details, educational details, contact details etc. during filling the online application form, the candidates also have to choose 3 names of the city where they wish to take IMU CET 2018. After furnishing all required details in the online application form, the candidates have to now make payment of the application fee. The candidates can make payment of the application fee through online payment modes such as credit card, debit card or internet banking. The candidates can submit IMU CET 2018 only through online mode on the official website of IMU CET. After completing the online application form, the candidates have to take a printout of the filled application form for future references. The candidates have not to send a print-out of the completed application form via post. The candidates who will successfully submit IMU CET 2018 online application form will be able to download admit card/hall ticket for IMU CET 2018 later. The candidates will also get a notification via SMS and email from the examination conducting body regarding the availability of the application form. The candidates can download the IMU CET 2018 admit card here. To download the admit card, the candidates have to log in to their account using the application number/user id and password. The candidates will be selected for admission in MBA, M.Tech, and M.Sc. programs on the basis of score secured in an Online Common Entrance Tests conducted by Indian Maritime University. The candidates are required to clear IMU CET entrance examination. After the declaration of IMU CET 2018 entrance test result, the University will start the selection process for admission into the programs MBA, M.Tech, and M.Sc. offered at various campuses of Indian Maritime University. The candidates who clear the entrance test will be called for counselling at designated IMU campuses and will have to verify their original mark sheets, physical fitness clearance etc. Candidate can check the result below which will be available shortly after the examination over. Candidates who will be shortlisted for counselling on the basis of CET scores are required to register for Online Counselling for allotment of seats followed by verification of original mark sheets and certificates, physical fitness certificate, etc. The IMU Online Counselling Schedule 2018 is given below. Subjects: MBA, M.Tech, and M.Sc. Syllabus for M.Tech: English, Mathematics and one of Mechanical Engineering/Naval Architecture/Marine Engineering/Civil Engineering. IMU CET 2018 will be conducted in various centres across the country. The IMU CET will be conducted in 36 centres. The name of the centres is given in the table below.